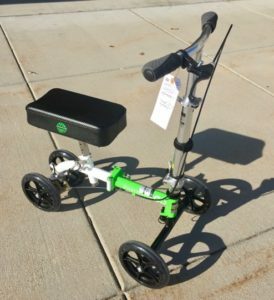 So many medical supply companies only offer one model of knee scooter to their customers to rent. And they’re usually cheap and poor quality. The components break, bearings need to be replaced, brakes go out, and you’ll see flat tires. 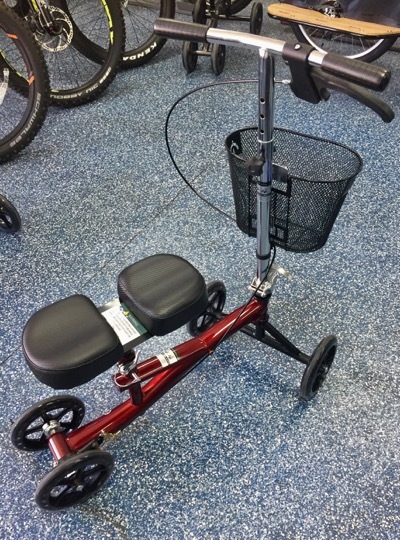 At the Knee Scooter store, we offer five high-quality models to our customers with medical issues where keeping weight off of a foot or ankle will help them heal. 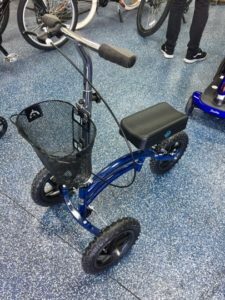 Depending on your needs, you may want to consider a scooter with a tie rod, a thin metal piece that ties both wheels together. 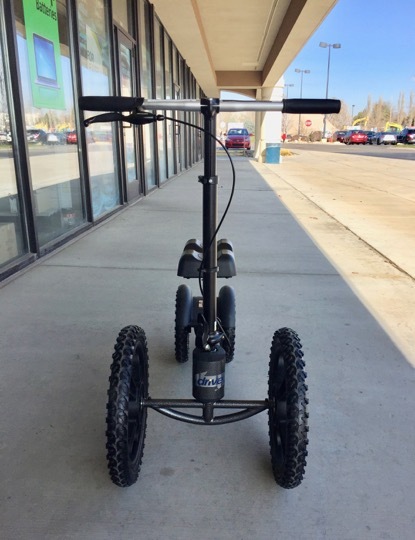 What often happens when rolling about on your scooter is that one tire will hit a bump. When this happens it will pull the entire scooter to the right or left. So if one wheel is pulled to the side the other wheel will hold it in place with the tie rod. 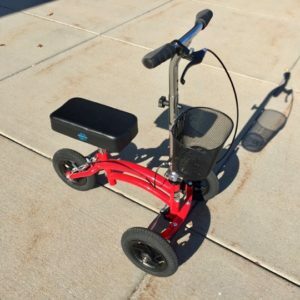 This creates a much more stable experience riding your knee scooter. 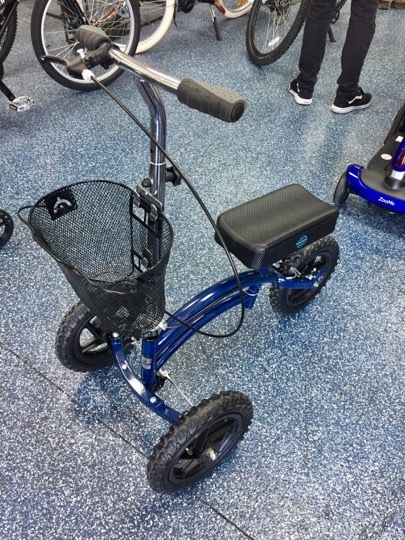 The Blue All-Terrain and Junior Rover have a tie rod. LEARN more about one leg scooters. CLICK HERE to see this image in larger format.